Textile House: Botanical Beatles has gone home. It's been a while since I posted but I had to jump on and get a few lines down for this one. The secret quilt I made in January reached it's new home last week so it can now get it's reveal. 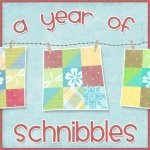 This one is from Another Bite of Schnibbles by Carrie Nelson. Last spring I got word that Carrie was putting out a new book and when I went to the publisher's website I got a glimpse of the cover and fell in love. That cover Quilt caught my eye and I knew I had to make it! The Arrows that the pattern formed seemed to be going everywhere, full of energy, there was no stopping them, always moving... I kept thinking that it felt like my Meagan. 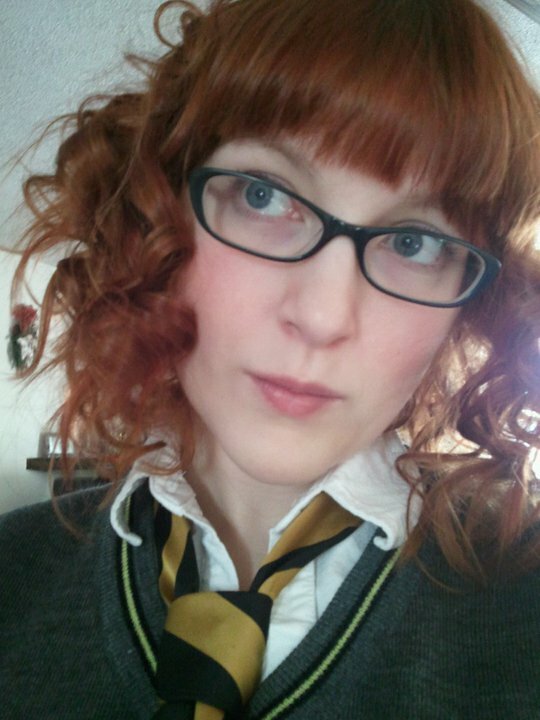 This is her dressed in her Hufflepuff uniform. She has a thing for dressing up... I have tons of pictures of her with a different costume in all of them, but I'll refrain from posting them. 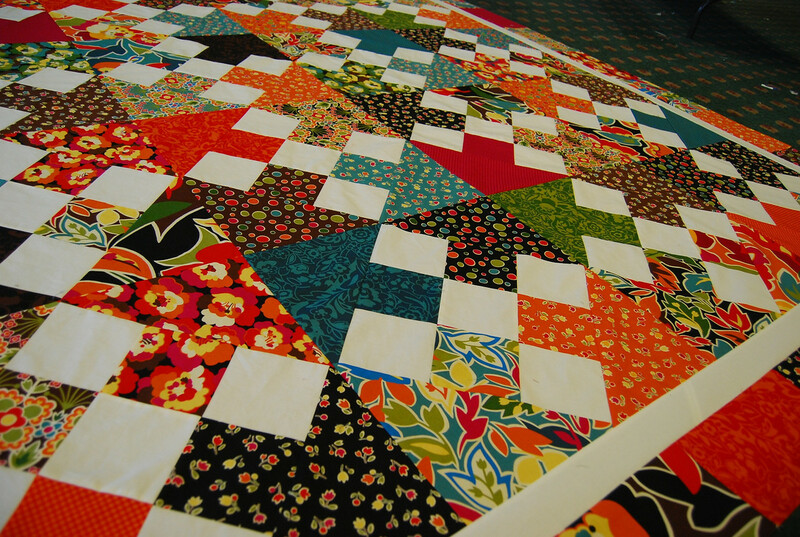 Anyway, back to the quilt. I had to wait a few months for Carrie's book to be published but in the meantime I went in search of the right fabric for this special piece. Oh My! by Sanae had just the right look. Funny that I had ordered the fabric before I got the book! LOL! but they had to be wild and crazy. The colors needed to be strong as well, because that child is bold. The piece came together so smoothly. No hiccups, no headaches. How appropriate since Meagan has always been the no fuss girl. I'm sure her parents see a whole different side of her but she was always the "quiet one" at my house. "Meagan, what do you want to eat?" ... She shrugs. "Do you want some beef on a stick?"... She nods. "Do you want Soda with that?" .... Face illuminates like it's the second coming and she smmmiiilllleeesss. You know that there was alot more going on there!! When it came time to quilt this I knew that it had to have flowers that would compliment the fabric but I NEEDED to make it uniquely Meagan's. I went back and forth with Margaret (Mainely Quilts of Love) on how we could incorporate something related to the Beatles in the quilting because She has always loved the Beatles. I thought of a submarine, of guitars, of Beatles (like, the bug), but all these ideas just didn't work. Until we hit on Lyrics. 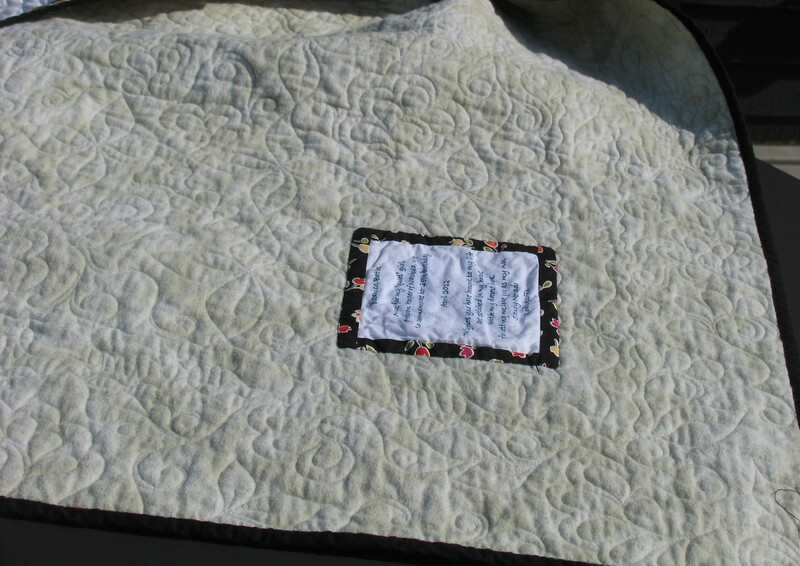 Margaret quilted lyrics to several Beatles's songs in the interior border for her. Matching pillowcases were made by Nyshma to compliment the quilt. Botanical Beatles went home with my girl last week. Yesterday she posted a picture of it on her bed and it warmed my heart. You are loved more than you will ever know! 5 comments on "Botanical Beatles has gone home." 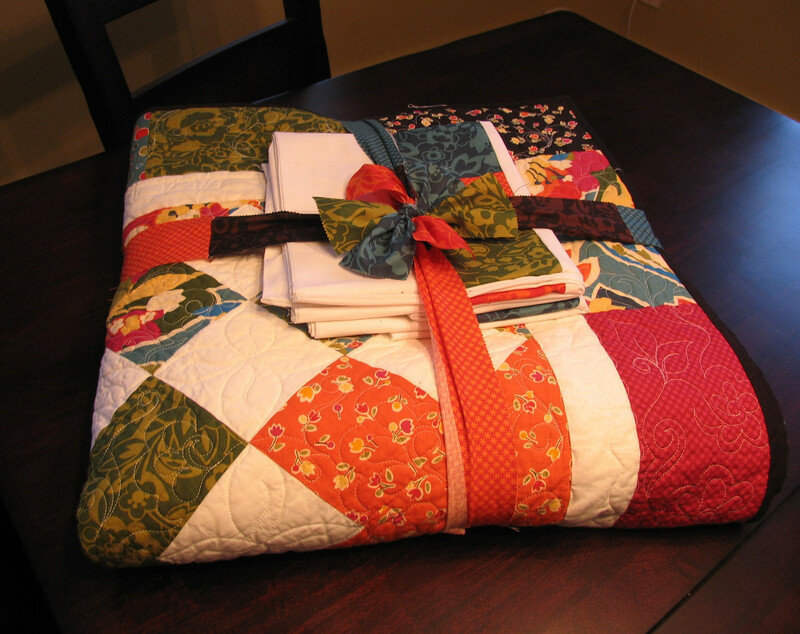 Loved the story and the quilt! It's great to hear from you!! 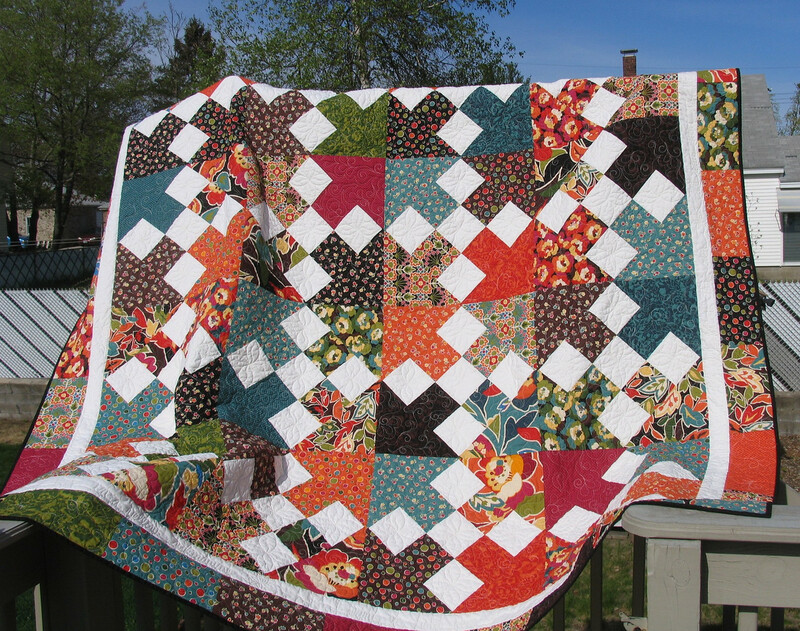 A beautiful quilt for a beautiful young lady. Nice work. The pictures don't do it justice. 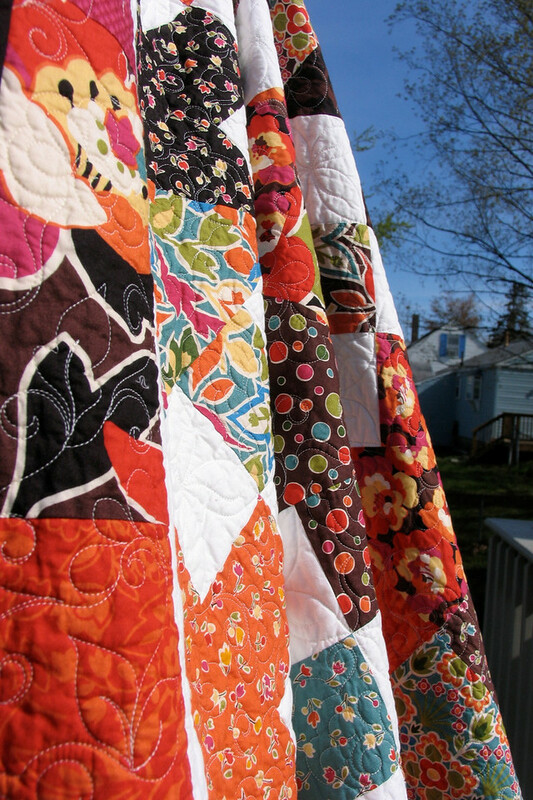 I love that quilt! 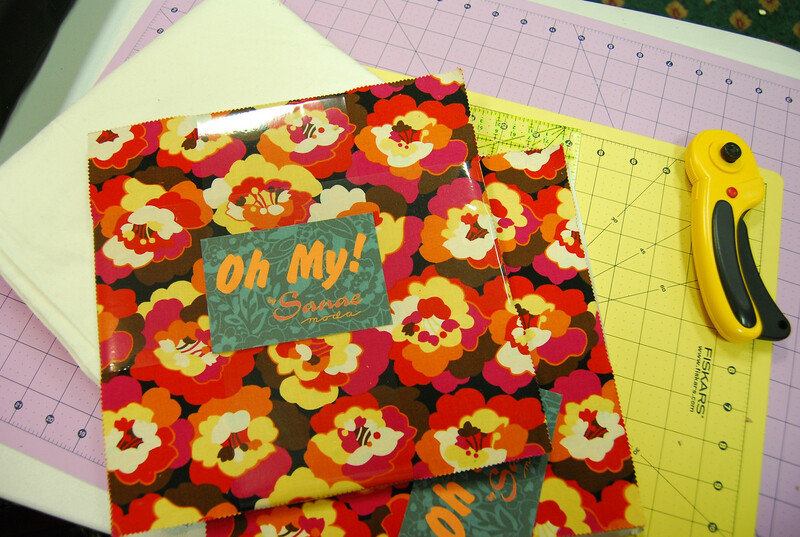 How did that fabric collection slip under my radar? 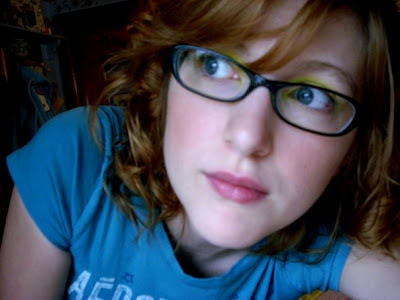 Meagan is sure a cutie. 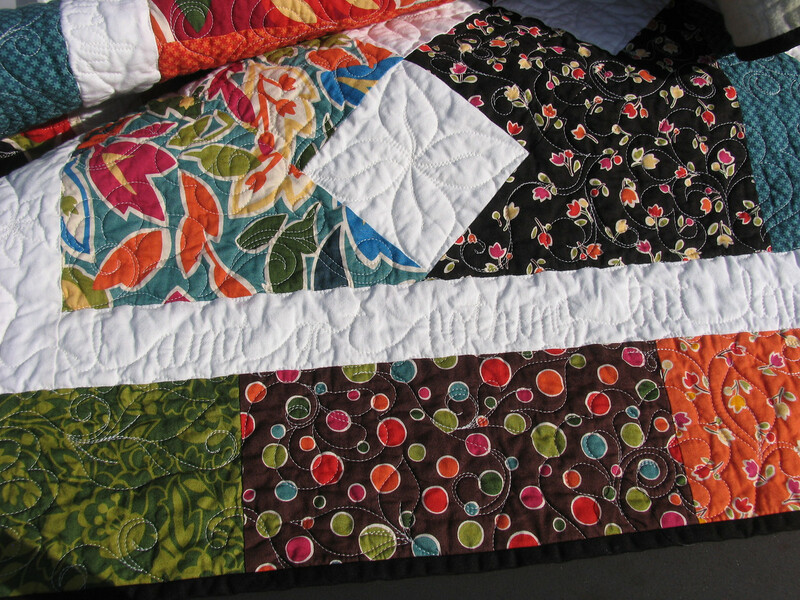 LOVE this quilt - the bold colors with the contrasting white diamond pieces. Enjoyed your 'puppy moment' from earlier post. 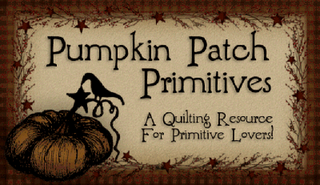 So glad to find another quilt blog to enjoy! Sandy, was a treat to get to know you & Andrea at retreat.